No chance to relax on this finishing hole. The tee shot is straightforward but a long and accurate shot is necessary to reach the green in regulation figures. 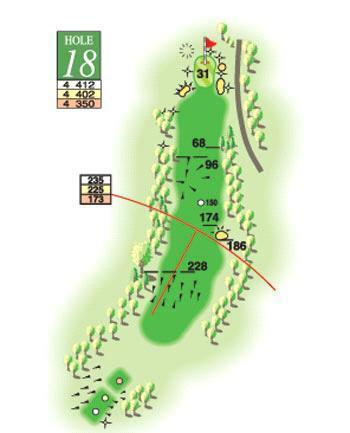 The entrance to the green is flanked by deep bunkers and the ideal entry is slightly left of centre. A reasonably flat and friendly green on which to finish the round.